Dr Robert P Lisak is the Parker Webber Chair in Neurology, a tenured Professor of Neurology and Professor of Biochemistry, Microbiology and Immunology at Wayne State University School of Medicine. Before coming to Wayne State University in 1987 he was a faculty member in the Department of Neurology at the University of Pennsylvania in Philadelphia from 1972-1987, serving as Vice Chair of Neurology from 1985-87. He was also a member of the Graduate Group in Immunology and Associate Member of the Neuroscience Institute. Dr Lisak served as Chair of Neurology at Wayne State University from 1987-2012, as Neurologist-in-Chief of the Detroit Medical Center from 1987-2011 and Chief of Neurology at Harper University Hospital and its pedecessors from 1987-2012. 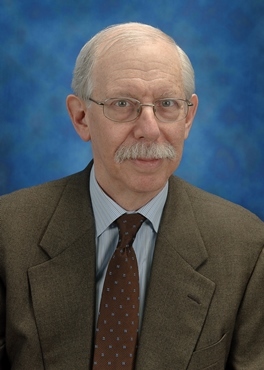 As a physician scientist Dr Lisak was a recipient of a Teacher Investigator Award from NINDS (1972-1977) and has and has had funding at the University of Pennsylvania and at Wayne State University from NINDS, NIAID, the National MS Society, the Muscular Dystrophy Association, the Myasthenia Gravis Foundation of America, and the Guillain Barre Syndrome/CIDP Foundation, International, as well as from multiple pharmaceutical companies for both preclinical investigator initiated studies and clinical trials. His clinical, basic and translational studies in neuroimmunologic diseases have resulted in 234 peer reviewed papers and reports, 187 reviews, signed editorials, chapters and books (written and edited) and 323 published abstracts from national and international meetings He has given invited talks nationally and internationally. Dr Lisak has served and serves on multiple editorial boards and served as Editor-in-Chief of the Journal of the Neurological Sciences, the journal of the World Federation of Neurology, from 1997-2013. He served and has served on study sections, review committees and policy committees for NIH and multiple voluntary health and scholarly societies as well as international, national and state-wide medical advisory boards. He has served in leadership positions for the American Academy of Neurology, the American Neurologic Association, the International Society of Neuroimmunology, the Neurologic Society of Philadelphia and the Michigan Neurologic Association. Dr Lisak was a Fulbright Scholar in the United Kingdom. Among his other honors are election ‘by distinction’ to the Royal College of Physicians (England), Gold Medal Award for Research Achievements by the Alumni Association of the College of Physicians and Surgeons, Lifetime Achievement Award from the Consortium of MS Centers and Trailblazer Award from Wayne State University School of Medicine. He has won multiple teaching awards the University of Pennyslvania and Wayne State University and one of the annual student research scholarships from the Foundation of the Consortium of MS Centers has been named in his honor. Dr Lisak’s research programs are in neuroimmunologic diseases including multiple sclerosis (MS) and related diseases including neuromyelitis optic spectrum disorders (NMOSD) and transverse myelitis (TM), myasthenia gravis (MG), immune-mediated neuropathies including Guillain-Barre Syndrome (GBS), Chronic Inflammatory Demyelinating Polyneuropathy (CIDP) and variants as well as other autoimmune neuropathies and inflammatory diseases of muscle. His approach, dating back to the 1960s, has always been translational. These studies encompass basic (wet bench) science and clinical research. The latter include characterization of clinical disorders, clinical trials including many multicenter trials that have lead to approval of several treatments for MS, MG and GBS. MS is the most common potentially disabling non-traumatic disease of the central nervous system (CNS) of young adults and affects over 400,000 individuals and their families in the USA. In our MS research wet bench research, done in collaboration with Dr Joyce Benjamins, Professor Emerita of Neurology at Wayne State University and others, and look at fundamental interactions of the immune system and the central nervous system in order to better plan new therapies for MS. Until 1993 there were no known treatments that favorably altered the course of MS and basic studies on our laboratories and that of others have lead to the current status of 14 FDA approved treatments with more in the ‘pipeline’. While none of the available agents are cures the change in the outlook for many patients with MS has been remarkable. We have looked at the effect of cytokines and other mediators of inflammation on cells of the nervous system including oligodendrocytes (OL) and their precursors (OPC), astrocytes, microglia (the endogenous inflammatory cells of the central nervous system), and neurons. More recent studies have been focused on the protective and potential reparative effects of therapies already approved for other uses in MS and other diseases. These studies could point the way not only for use of these treatments for protective and reparative effects like enhancing remyelination, but by looking at the mechanisms of protection and repair by these agents, including adrenocortical trophic hormone (ACTH) and dextromethorphan (DM), newer treatments could also be developed that target the receptors for these molecles. In our other studies, done in collaboration with Dr Amit Bar-Or, formerly of McGill University in Montreal and currently at the University of Pennsylvania, we have discovered a somewhat unexpected potential role for B lymphocytes (B-cells) in the pathogenesis of MS, particularly for the cortical gray matter. Gray matter lesions correlate with the degree of permanent disability and begin in the earliest stages of MS. It has always been felt that B cells which mature to become plasma blasts and plasma cells, the antibody producing cells of the body, were involved in MS by producing antibodies (autoantibodies) that attack the CNS particularly myelin and the OL, the cells that produce myelin in the CNS. But newer roles for B cells in the immune system have been discovered and our work suggests that B cells can produce substances, not iimmunoglobulins (Ig) that are directly toxic to OL and neurons. Such B cells resident in the meninges (the covering of the brain and spinal cord) could release these toxic factors and damage the OL/myelin and the neurons and axons in the underlying cortical gray matter. We are currently actively attempting to characterize the toxic factor or factors released by the B cells which could then lead to a more specific therapy rather than simply destroying B cells in patients which is how the newer B cell MS therapies work. Selective blocking of toxic factors would not only be more specific and potentially more effective treatment but also safer. MG is a disease of the neuromuscular junction (NMJ), which is where the nerves release chemicals that transit a message to the underlying muscle to activate contract resulting in movement. Weakness in acquired autoimmune MG is caused by autoantibodies directed against proteins of the NMJ. In MG our work as been focused on what drives the autoimmune processes in patients to produce autoantibodies that attack components of the neuromuscular junction (NMJ), which leads to the weakness that characterizes MG. We have also been involved in studies, including one funded by the NIH, to identify additional components of the NMJ that serve as targets (antigens) for antibodies and to characterize the clinical picture in patients with these autoantibodies. While we now have therapies that improve weakness in MG patients, many of these treatments effects are incomplete and many have significant side effects. Therefore we are involved in multicenter trials to try to develop additional therapies for MG.
Our work in inflammatory immune-mediated demyelinating and other autoimmune neuropathies focuses on both the interactions of immune system mediators, antibodies as well as products of T cells and monocyte/macrophages, with Schwann cells, the myelin forming cells of the peripheral nervous system (PNS), using in vitro (tissue culture) and in vivo (animal models) experiments, as well as studies of patients including the first study to demonstrate that plasma exchange was an effective treatment for GBS. 1. Lisak, R.P., Heinze, R.G., Falk, G.A., Kies, M.W. : Search for antiencephalitogen antibodies in human demyelinative diseases. Neurology 14(2):122-128, 1968. 2. Lisak, R.P., Falk, G.A., Heinze, R.G., Kies, M.W., Alvord, E.C., Jr.: Dissociation of antibody production from disease suppression in the inhibition of allergic encephalomyelitis by myelin basic protein. J. Immunol. 104:1435-1446, 1970. 3. Silberberg, D.H., Lisak, R.P., Zweiman, B.: Multiple sclerosis unaffected by azathioprine in pilot study. Arch. Neurol. 28:210-212, 1973. 4. Lisak, R.P., Behan, P.O., Zweiman, B., Shetty, T.: Cell-mediated immunity to myelin basic protein in acute disseminated encephalomyelitis. Neurology 24:560-564, 1974. 5. Lisak, R.P., Zweiman, B. , Norman, M.E. : Antimyelin antibodies in neurologic disease: Immunofluorescent demonstration. Arch. Neurol. 32:163-167, 1975. 6. Lisak, R.P., Zweiman, B., Kies, M.W., Driscoll, B.: Experimental allergic encephalomyelitis in resistant and susceptible guinea pigs: In vivo and in vitro correlates. J. Immunol. 114:546-549, 1975. 7. Kies, M.W., Driscoll, B.F., Lisak, R. A1vord, E.C., Jr.: Immunologic activity of myelin basic protein in Strain 2 and Strain 13 guinea pigs. J. Immunol. 115:75-79, 1975. Preliminary report. Neurology 26:693-695, 1976. 9. Dupont, B., Lisak, R.P., Jersild, C., Hansen, J.A., Silberberg, D.H., Whitsett, C., Zweiman, B. , Ciongoli, A.K. : HL-A antigens in black American patients with multiple sclerosis. Trans. Proc. 9:181-185, 1977. 10. Lisak, R.P., Zweiman, B., Waters, D., Koprowski, H. , Pleasure, D.E. : Cell-mediated immunity to measles, myelin basic protein and central nervous system extract in multiple sclerosis. Neurology 28:798-803, 1978. 11. Lisak, R.P., Zweiman, B.: In vitro cell mediated immunity of cerebrospinal fluid lymphocytes to myelin basic protein in primary demyelinating diseases. New Eng. J. Med. 297:850-853, 1977. 12. Abramsky, O., Lisak, R.P. Silberberg, D.H., Pleasure, D.E. : Antioligodendroglia antibodies in patients with multiple sclerosis. New Engl. J. Med. 297:1207-1211, 1977. 13. Raff, M., Mirsky, R., Fields, K.F., Lisak, R.P., Dorfman, S.H., Silberberg, D.H., Gregson, N.A., Leibowitz, S., Kennedy, M.C. : Galactocerebroside: A specific cell surface antigenic marker for oligodendrocytes in culture. Nature 274:813-816, 1978. 14. Kennedy, P.G.E., Lisak, R.P. : A search for antibodies against glial cells in the serum and cerebrospinal fluid of patients with multiple sclerosis and Guillain-Barre syndrome. J. Neurol. Sci. 44:125-133, 1979. 15. Whitaker, J.N., Lisak, R.P., Bashir, R.M., Fitch, O.H., Seyer, J.M., Krance, R., Lawrence, J.A., Ch'ien, L.T., O'Sullivan, P.: Immunoreactive myelin basic protein in the cerebrospinal fluid in neurologic disorders. Ann. Neurol. 7:58-64, 1980. 16. Lisak, R.P., Zweiman, B. , Whitaker, J.N. : Spinal fluid basic protein immunoreactive materia1 and spinal fluid lymphocyte reactivity to basic protein. Neurology 31:180-182, 1981. 17. Kennedy, P.G.E., Lisak, R.P., Raff, M.C. : Cell specific markers for human glial and neuronal cells in culture. Lab. Invest. 43:342-351, 1980. 18. Burns, J.B., Zweiman, B. and Lisak, R.P. : Long-term growth in vitro of human CSF T-lymphocytes. J. Clin. Immunol. 1:195-200, 1981. 19. Rostami, A., Lisak, R.P., Blanchard, N., Guerrero, F., Zweiman, B. and Pleasure, D.E. : Oligoclonal IgG in the cerebrospinal fluid of animals with acute experimental allergic encephalomyelitis. J. Neurol. Sci. 53:433-441, 1982. 20. Wroblewska, Z., Kennedy, P.G.E., Wellish, M.C., Lisak, R.P. and Gilden, D.H.: Demonstration of JC virus by immunofluorescence in multiple cell types in experimentally infected adult human brain cell cultures. J. Neurol. Sci. 54:189-196, 1982. 21. Levinson, A.I., Sandberg-Wollheim, M., Lisak, R.P., Zweiman, B., Sjogren, K., Laramore, C., Moskovitz, A.R. and Hedstrom, S.A.: Analysis of B-cell activation of cerebrospinal fluid lymphocytes in multiple sclerosis. Neurology 33:1305-1310, 1983. 22. Burns, J.B., Rosenzweig, A., Zweiman, B., Moskovitz, A.R., Lisak, R.P. : Recovery of myelin basic protein reactive T-cells from spinal cords of Lewis rats with autoimmune encephalomyelitis. J. Immunol. 132:2690-2692, 1984. 24. Burns, J.B., Zweiman, B., Lisak, R.P. : Tetanus toxoid reactive T lymphocytes in the cerebrospinal fluid of multiple sclerosis patients. Immunol. Commun. 13:361-369, 1984. 25. Sergott, R.C., Brown, M.J., Lisak, R.P., Silberberg, D.H.: Optic nerve demyelination induced by human serum: patients with multiple sclerosis or optic neuritis and normal subjects. Neurology 35:1438-1442, 1985. 26. Hirayama, M., Lisak, R.P., Silberberg, D.H: Serum-mediated oligodendrocyte cytotoxicity in multiple sclerosis patients and controls. Neurology 36:276-278, 1986. 27. Ho, S.-Y., Catalanotto, F.A., Lisak, R.P., Dore-Duffy, P.: Zinc in multiple sclerosis. II. Correlation with disease activity and elevated plasma membrane bound zinc in erythrocytes from patients with multiple sclerosis. Ann. Neurol. 20:712-715, 1986. 28. Suzumura, A., Silberberg, D.H., Lisak, R.P. : The expression of MHC antigens on oligodendrocytes: Induction of polymorphic H-2 expression by lymphokines. J. Neuroimmunol. 11:179-190, 1986. 29. Suzumura, A., Lisak, R.P., Silberberg, D.H.: Serum cytotoxicity to oligodendrocytes in multiple sclerosis and controls: Assessment by 51Cr release assay. J. Neuroimmunol. 11:137-147, 1986.
tetanus toxoid immunization in patients with multiple sclerosis. J. Neuroimmunol. 11:205-214, 1986. 31. Sergott, R.C., Brown, M.J., Lisak, R.P., Miller, S.M. : Antibody to myelin-associated glycoprotein produces central nervous system demyelination. Neurology 38:422-426, 1988. 32. Rostami, A.M., Burns, J.B., Eccleston, P.A., Manning, M.C. Lisak, R.P. Silberberg, D.H.: Search for antibodies to galactocerebroside in the sera and cerebrospinal fluid in human demyelinating disorders. Ann Neurol. 22:381-383, 1987. 33. Sandberg, M., Levinson, A.I., Zweiman, B. , Lisak, R.P. : B cell activation in multiple sclerosis, Acta Neurol. Scand. 74:417-424, 1986. 34. Cohen, J.A., Essayan, D.M., Zweiman, B. , Lisak, R.P. : Frequency analysis of antigen-reactive lymphocytes in the lesions of animals with experimental allergic encephalomyelitis, Cell Immunol. 108:203-213,1987. 35. Grossman, RI, Lisak, RP, Macchi, PJ and Joseph, PM. MR of acute experimental allergic encephalomyelitis. Amer. J. Neuroradiol. 8:1045-1048, 1987. 36. Shaw, MK, Kim, C, Ho, K-L, Lisak, RP, Tse, H. A combination of adoptive transfer and antigenic challenge consistently induces murine experimental autoimmune encephalomyelitis in reputed resistant strains. J. Neuroimmunology 39:139-150, 1992. 37. Dore-Duffy, P, Newman, W, Balabanov, R, Lisak, RP, Rothlein, R, Peterson, M. Evaluation of circulating soluble adhesion proteins in CSF and serum of patients with multiple sclerosis: Correlation with clinical activity. Ann Neurol. 37:55-62, 1995. 38. Johnson, K, Brooks, BR, Cohen, J, Ford, CC, Goldstein, J, Lisak, RP, Myers, LW, Pannitch, HS, Rose, JW, Schiffer, R.B., Vollmer, T, Weiner, L.P., Wolinsky, J.S, and The Copolymer I Multiple Sclerosis Study Group. Copolymer 1 (Cop 1) positively influences relapse rate and progression of disability in relapsing-remitting multiple sclerosis: Clinical results of a multi-center, placebo-controlled, double-blind trial. Neurology 45:1268-1276, 1995. 39. Johnson, KP, Brooks, BR, Cohen, JA, Ford, CC, Goldstein, J, Lisak, RP, Myers, LW, Panitch, HS, Rose, JW, Schiffer, RB, Vollmer, T, Weiner, LP, Wolinsky, JS; and the Copolymer 1 Multiple Sclerosis Study Group. Extended use of glatiramer acetate (CopaxoneR) is well tolerated and maintains its clinical effect on multiple sclerosis relapse rate and degree of disability. Neurology, 50:701-708, 1998. 40. Khan, O, Tselis, A, Garbern, J., Kamholz, J, Lewis, R, Lisak, R. A prospective, controlled open label trial comparing the effects of IFN-la (Avonex®), IFN-1b (Bestaseron®) and glatiramer acetate (Copaxone®) on the relapse rate of patients with relapsing-remitting multiple sclerosis. Eur. J Neurol. 8:141-148, 2001. 42. Ragheb, S., Abramczyk, S, Lisak, D, Lisak, RP. Long-term therapy with glatiramer acetate in multiple sclerosis: effect on T-cells. Multiple Sclerosis 7:43-47, 2001. 43. Khan, OA, Zvartau-Hind, M, Caon, C, Din, MU, Cochran, M, Lisak, D, Tselis, AC, Kamholz, JA, Garbern, JY, Lisak, RP. Effect of monthly intravenous (IV) cyclophosphamide in rapidly deteriorating multiple sclerosis patients resistant to conventional therapy. Multiple Sclerosis 7:185-188, 2001. 44. Balabanov, R, Lisak, D, Beaumont, T, Lisak, RP, Dore-Duffy, P. Expression of urokinase plasminogen activator receptor on monocytes from patients with relapsing-remitting multiple sclerosis: Effect of glatiramer acetate (Copolymer 1). Clin Diag Lab Immunol 8:1196-1203, 2001. 45. Caon C, Zvartau-Hind ME, Ching W, Lisak RP, Tselis AC, Khan OA. Intercaudate nucleus ratio as a linear measure of brain atrophy in multiple sclerosis. Neurology 60:323-325, 2003. 75. Benjamins, JA, Nedelkoska, L, Lisak, RP. Melanocortin receptor subtypes are expressed on cells in the oligodendroglial lineage and signal ACTH protection. J Neurosci Res 96:427-435, 2018; ePub 2017 Sep 6. 1. Lisak, R.P. : Antibodies to galactocerebroside: Probes for the study of antibody-determined neurologic damage. First International Congress on Neuroimmunology, Behan, P.O. and Spreafico, F. (Eds.) Raven Press, New York, 1984, pp. 167-177. 2. Lisak, R.P., Zweiman, B., Burns, J.B., Rostami, A., Silberberg, D.H.: Immune responses to myelin antigens in multiple sclerosis. Ann. N.Y. Acad. Sci. 436:221-230, 1984. Behan, P.O. (Eds.) Blackwell Scientific Publishers Oxford, 1987, pp 192-213. 5. Lisak, RP. Immune-mediated parainfectious encephalomyelitis, McKendall, RR, Stroop, WG. (Eds), Handbook of Neurovirology, Marcel Dekker, New York, pp 173-186, 1994. 7. Tselis, AC, Lisak, RP. “Acute disseminated encephalomyelitis” in Antel, J, Birnbaum, G, Hartung, H-P, Vincent, A. Clinical Neuroimmunology, 2nd edition, Oxford University Press, 2005, pp 147-172. 13. Lisak, RP, Kira, J-I. Multiple Sclerosis. In, International Neurology: A Clinical Approach, 2nd edition; Lisak, RP, Troung, DD, Carroll, WM, Bhidayasari, R. (eds) Wiley-Blackwell, Oxford, 2016; pp 351-360. 1. Rowland, L.P., Lisak, R.P., Schotland, D.L., DeJesus, P.V. , Berg, LP. : Myasthenic myopathy and thymoma. Neurology 23:282-288, 1973. 2. Abdou, N.I., Lisak, R.P., Zweiman, B., Abrahamsohn, I., Penn, A.S.: The thymus in myasthenia gravis: Evidence for altered cell populations. New Eng. J. Med. 291:1271-1275, 1974. 3. Lisak, R.P., Abdou, N.I., Zweiman, B., Zmiejewski, C., Penn, A.S.: Aspects of lymphocyte function in myasthenia gravis. Ann. N.Y. Acad. Sci. 274:402-411, 1976. 4. Lisak, R.P., Zweiman, B., Phillips, S.M. : Thymic and peripheral blood T and B-cell levels in myasthenia gravis. Neurology 28:1298-1301, 1978. 5. Brenner, T., Abramsky, O., Lisak, R.P., Zweiman, B., Tarrab-Hazdai, R., Fuchs, S.: Antibody to acetylcholine receptor in myasthenia gravis: Radioimmunoassay. Israel J. Med. Sci. 14:986-989, 1978. 6. Abramsky, 0., Brenner, T., Lisak, R.P., Zeidman, A., Beyth, Y.: Inhibitory effect of amniotic fluid on the activity of antibodies to acetylcholine receptor: The significance to neonatal myasthenia gravis. Lancet 2:1333-1335, 1979. 7. Donaldson, J.O., Penn, A.S., Lisak, R.P., Abramsky, 0., Brenner, T. , Schotland, D.L. : Anti-acetylcholine receptor antibody in neonatal myasthenia gravis. Amer. J. Dis. Child. 135:222-226, 1981. 8. Levinson, A.I., Dziarski, A., Lisak, R.P., Zweiman, B., Moskovitz, A., Brenner, T., Abramsky, 0.: Polyclonal B-cell activity in myasthenia gravis. Neurology 31:1198-1201, 1981. 9. Levinson, A.I., Dziarski, A., Lisak, R.P., Zweiman, B., Moskovitz, A.R., Brenner, T. and Abramsky, 0.: Comparative immunoglobulin synthesis by blood lymphocytes in myasthenics and norma1s. Ann. N.Y. Acad. Sci.377:385-392, 1981. 10. Skolnik, P.R., Lisak, R.P. and Zweiman, B.: Monoclonal antibody analysis of blood T-cell subsets in myasthenia gravis. Ann. Neurol. 11:170-176, 1982. 11. Lisak, R.P., Laramore, C., Zweiman, B. and Moskovitz, A.R. : In vitro synthesis of antibodies to acetylcholine receptor by peripheral blood mononuc1ear cells of patients with myasthenia gravis. Neurology 33:604-610, 1983.
subpopulations in myasthenia gravis Neurology 33:868-872, 1983. 13. Levinson, A.I., Zweiman, B., Lisak, R.P., Dziarski, A. and Moskovitz, A.R. : Thymic B-ce11 activation in myasthenia gravis. Neurology 34:462-468, 1984. 14. Lisak, R.P., Laramore, C., Levinson, A.I., Zweiman, B., Moskovitz, A.R., Witte, A.: In vitro synthesis of antibodies to acetylcholine receptor by peripheral blood cells: role of suppressor T-cells in normal subjects. Neurology 34:802-805, 1984. 15. Witte, A.S., Cornblath, D.R., Parry,G.J., Lisak, R.P., Schatz, N.J.: Azathioprine in the treatment of myasthenia gravis. Ann. Neurol. 15:602-605, 1984. 16. Kornstein, M.J., Brooks, J.J., Anderson, A.O., Levinson, A.I., Lisak, R.P., Zweiman, B.: The immunohistology of the thymus in myasthenia gravis. Amer. J.Path. 117:184-194, 1984.
to acetycholine receptor. Ann Neurol. 19:87-89, 1986. 18. Cox, A., Lisak, R.P., Skolnik, P., Zweiman, B.: Effect of thymectomy on blood T-cell subsets in myasthenia gravis. Ann. Neurol. 19:297-298, 1986. 19. Witte, A.S., Cornblath, D.R., Schatz, N.J., Lisak, R.P. : Monitoring azathioprine therapy in myasthenia gravis. Neurology 36: 1533-1534, 1986. 20. Lisak, R.P., Levinson, A.I., Zweiman, B., Kornstein, M.J.: Antibodies to acetylcholine receptor and tetanus toxoid: In vitro synthesis by thymic lymphocytes. J. Immunol. 137:1221-1225, 1986. 21. Sisely, A, Lisak, RP, Brenner, T. Proliferative response of patients with myasthenia gravis to purified mammalian acetylcholine receptor. Pathology and Immunopathology Research 8:113-117, 1989. 22. Ragheb, S, Lisak, RP. The frequency of CD5+B lymphocytes in the peripheral blood of patients with myasthenia gravis. Neurology 40:1120-1124, 1990. 23. Levinson, AI, Zweiman, B, Lisak, RP. Pokeweed mitogen-induced immunoglobulin secretory responses of thymic B-cells in myasthenia gravis: Selective secretion of IgG versus IgM cannot be explained by helper functions of thymic T-cells. Clin. Immunol. Immunopathol. 57:211-217, 1990. 24. Ragheb, S, Lisak, RP. Effect of clinical status and treatment on the frequency of CD5+ B-cells in patients with myasthenia gravis. Neurology 42:1076-1080, 1992. 25. Ragheb, S, Bealmear, B, Lisak, RP, Cell-surface expression of lymphocyte activation markers in myasthenia gravis, Autoimmunity, 3:55-66, 1999. 28. Zhang, B, Tzartos, JS, Belimezi, M, Ragheb, S, Bealmear, B, Lewis, RA, Xiong, W-C, Lisak, RP, Tzartos, SJ. 1. Lisak, R.P., Levinson, A.I., Zweiman, B.: Abnormalities of the immunologic control mechanisms and autoimmunity in myasthenia gravis, in Disorders of the Motor Unit, Schotland, D.L. (Ed. ), John Wiley and Sons, New York, 1982, pp. 257-267. 2. Lisak, R.P. and Barchi, R.L. : Myasthenia Gravis, W.B. Saunders, Philadelphia, 1982. 4. Levinson, A.I., Lisak, R.P., Zweiman, B. Kornstein, M.: Phenotypic and functional analysis of lymphocytes in myasthenia gravis, in Springer Seminars in Immunopathology, Steck, A., Lisak, R.P. (Guest Eds. ), Neuroimmunology 8:209-233, 1985. 5. Lisak, R.P. : Plasma exchange in neurologic diseases. Arch. Neurol. 41:654-657, 1984. Hilton- Jones, D. (Eds), Churchill-Livingstone, Edinburgh, pp 381-414, 1994. 7. Lisak, RP (Ed) Handbook of Myasthenia Gravis and Myasthenic Syndromes, Marcel Dekker, New York, 1994. 8. Lisak, R.P., Levinson, A.I., Zweiman, B., Kornstein, M.J.: In vitro synthesis of IgG and antibodies to acetylcholine receptor by blood and thymic lymphocytes. Ann. NY Acad. Sci. 505:39-48, 1987. 9. Lisak, RP. The clinical limits of myasthenia gravis and differential diagnosis. Neurology 48 (Suppl 5): 536-539, 1997. 10. Ragheb, S, Lisak, RP. Immune regulation and myasthenia gravis. Ann NY Acad Sci, 841:210-224,1998. 11. Ragheb, S, Lisak, RP The Thymus and Myasthenia Gravis. (Kirschner, P., ed.) Chest Surgery Clinics of North America 11:311-327, 2001. 14. Li, J, Lisak, RP. The pathophysiology of myasthenia gravis, in, Shields, TW, Locicero, J, Reed, CE and Feins, RH (eds) General Thoracic Surgery, 7th Edition, Lippincott Williams & Wilkens, Philadelphia, PA, 2009, Chapter 181, pp2273-2276. 20. Levinson, AI, Lisak, RP. Myasthenia gravis. Manual of Molecular and Clinical Laboratory Immunology 8th Edition, Detrick, B, Schmitz, JL, Hamilton, RG 9eds), (MMCL18) ASM Press, Washington, DC, 2016, pp 954-960.
response of cultured astrocytes, oligodendrocytes and Schwann cells. Devel. Brain Res. 2:19-35, 1982. 2. Lisak, R.P., Mitchell, M., Zweiman, B., Orecchio, E. , Asbury, A.K. : Guillain-Barre syndrome and Hodgkin's disease: Three cases with immunologic studies. Ann. Neurol. 1:72-78, 1977. 3. Saida, T., Saida, K., Dorfman, S.H., Silberberg, D.H. Sumner, A.J., Manning, M.C. Lisak, R.P. , Brown, M.J.: Experimental allergic neuritis induced by sensitization with galactocerebroside. Science 204:1103-1106, 1979. 4. Kreider, B.Q., Messing, A., Doan, H., Kim, S.U., Lisak, R.P., Pleasure, D.E. : Enrichment of Schwann cell cultures from neonatal rat sciatic nerve by differential adhesion. Brain Res. 207:433-444, 1981. 5. Zweiman, B., Moskovitz, A.R., Rostami, A., Lisak, R.P., Pleasure, D.E. and Brown, M.J.: Antibodies to P2 and Pl myelin antigens in experimental allergic neuritis and allergic encephalomyelitis. J. Neuroimmuno1.2:331-336, 1982. 6. Zweiman, B., Rostami, A., Lisak, R.P., Moskovitz, A.R. and Pleasure, D.E. : Immune reactions to P2 protein in human inflammatory demyelinative neuropathies, Neurology 33:534-539, 1983. 7. Armati-Gulson, P.J., Lisak, R.P., Kuchmy, D. and Pollard, J: 51Cr release cytotoxicity radioimmunoassay to rat Schwann cells in vitro. Neurosci. Lett. 35:321-326, 1983.
the Guillain-Barre syndrome. Neurology 34:1240-1243, 1984. 9. Rostami, A., Brown, M.J., Lisak, R.P., Sumner, A.J., Zweiman, B., Pleasure, D.E. : The role of myelin P2 protein in the production of experimental allergic neuritis. Ann. Neurol. 16:680-685, 1984. 10. Brown, M.J., Northington, J.W., Rosen, J.L., Lisak, R.P. : Acute canine idiopathic polyneuropathy (ACIP) serum demyelinates peripheral nerve in vivo. J. Neuroimmunol. 7:239-248, 1985. 11. Lisak, R.P., Zweiman, B., Guerrero, F., Moskovitz, A.R. : Circulating T-cell subsets in Guillain-Barre syndrome, J. Neuroimmunol. 8:93-101, 1985. 12. Rostami, A., Burns, J.B., Brown, M.J., Rosen, J., Zweiman, B., Lisak, R.P., Pleasure, D.E. : Transfer of experimental allergic neuritis with P2-reactive T-cell lines. Cell. Immunol. 91:354-361, 1985. 13. The Guillain-Barre Study Group (Lisak, RP Member of Study Group and University of Pennsylvania Site PI) Plasmapheresis in acute Guillain-Barre syndrome. Neurology 35:1096-1104, 1985. 14. Hirayama, M., Lisak, R.P., Silberberg, D.H: Serum-mediated oligodendrocyte cytotoxicity in multiple sclerosis patients and controls. Neurology 36:276-278, 1986. 15. Brown, M.J., Rosen, J.L., Lisak, R.P. : Demyelination in vivo by Guillain-Barre syndrome and other human serum. Muscle & Nerve 10:263-271, 1987. 16. Rostami, A., Sobue, G., Lisak, R.P. and Pleasure, D.E. : A monoclonal antibody to Schwann cell surface membrane recognizes a cAMP inducible epitope, Brain Res. 425:205-211, 1987. 17. Scarpini, E, Kreider, BQ, Lisak, RP, Meola, G, Velicogna, ME, Baron, P, Beretta, S, Buscaglia, M, Ross, A, Scarlato, G: Cultures of human Schwann cells from fetal nerves. Brain Res. 440:261-266, 1988. 18. Scarpini, E, Ross, AH, Rosen, JL, Brown, MJ, Rostami, A, Koprowski, H, Lisak, RP: Expression of nerve growth factor receptor during human peripheral nerve development. Develop. Biol.125:301-310, 1988. 19. Shuman, S, Zweiman, B, Lisak, R, Kahn, S, Rostami, A, Sumner, A. Antibody binding to PNS myelin in acute Guillain-Barre syndrome (GBS) serum. Pathol. Immunopath. Res. 7:162-168, 1988. 20. McKhann, GM, Griffin, JW, Cornblath, DR, Mellets, ED, Fisher, RS, Quaskey, SA and The Guillain-Barre Syndrome Study Group. (Lisak RP Member of Study Group and University of Pennyslvania Site PI). Plasmapheresis and Guillain-Barre Syndrome. Analysis of prognostic factors and the effect of plasmapheresis. Ann. Neurol. 23:347-353, 1988. 21. Cornblath, DR, Mellets, ED, Griffin, JW, McKhann, GM, Albers, JW, Muller, RG, Feasby, TE, Quaskey, SA and The Guillain-Barre Syndrome Study Group. (Lisak, RP Member of Study Group) Motor conduction studies in Guillain-Barre Syndrome: Description and prognostic value. Ann. Neurol. 23:354-359, 1988. 22. Scarpini, E, Lisak, RP, Beretta, S, Velicogna, M, Doronzo, R, Maggio, M, Jann, S, Scarlato, G. Quantitative assessment of class II molecules on normal and pathological nerves: Immunocytochemical studies in vivo and in tissue culture. Brain 113:659-675, 1990. 23. Lisak, RP, Bealmear, B. Antibodies to interleukin-1 inhibit cytokine induced proliferation of neonatal rat Schwann cells in vitro. J. Neuroimmunol. 31:123-132, 1991. 25. Nadkarni, N, Lisak, RP. Guillain-Barre' Syndrome (GBS) with bilateral optic neuritis and central white matter disease. Neurology 43:842-843, 1993. 26. Lisak, RP, Bealmear, B. Antibodies to interleukin-6 (IL-6) inhibit Schwann cell proliferation. J. Neuroimmunology, 50:127-132, 1994. 27. Lisak, RP, Bealmear, B, Ragheb, S. Interleukin-1, but not interleukin-1, is a co-mitogen for neonatal rat Schwann cells in vitro and acts via interleukin-1 receptors. J. Neuroimmunol. 55:171-178, 1994. 28. Skundric, DS, Bealmear, B, Lisak, RP. Induced upregulation of IL-1, IL-1RA and IL-1 R type I gene expression by Schwann cells. J. Neuroimmunol 74:8-19, 1997. 29. Lisak, RP, Bealmear, B. Upregulation of intercellular adhesion molecule-1 (ICAM-1) on rat Schwann cells in vitro: Comparison of interferon- tumor necrosis factor- and interleukin-1. J Periph Nerv Syst 2:233-243, 1997. 30. Lisak, RP, Bealmear, B, Benjamins, J, Skoff, A. Cytokines inhibit cyclic AMP-upregulation of expression of glycolipids by Schwann Cells in vitro. Neurology 51:1661-1665,1998. 31. Skoff, AM, Lisak RP, Bealmear, B, Benjamins, JA. TNF- and TGF- act synergistically to kill Schwann cells. J. Neurosci Res 53:747-756, 1998. 32. Skundric, DS, Dai, R, James, J, Lisak, RP. Activation of IL-1 signaling in Schwann cells during diabetic neuropathy. Ann NY Acad Sci 958:393-398, 2002. 33. Skundric, DS, Lisak, RP, Rhoui, M, Kieseier, BC, Jung, S, Hartung, HP. Schwannn cell specific regulation of IL-1 and IL-1Ra during EAN: possible relevance for immune regulation. J Neuroimmunol 116:74-82, 2001. 1. Lisak, R.P., Behan, P.O. : Experimental autoimmune demyelinating diseases: Experimental allergic encephalomyelitis and experimental allergic neuritis. Biomed. 22:81-87, 1975. Asbury, A.K., Lisak, R.P. : Demyelinative neuropathy and myelin antibodies. N. Engl. J. Med. 303:638-639, 1980. 2. Lisak, R.P., Brown, M.J., Sumner, A.J. : Abnormal serum factors in the Guillain-Barre syndrome. Ital. J.Neurol. Sci. 3:265-272, 1983. 3. Lisak, R.P. : Plasma exchange in neurologic diseases. Arch. Neurol. 41:654-657, 1984. Lisak, R.P. : Plasma exchange in neurologic diseases. Neurology and Neurosurgery Update Series. 6(40):1-8, 1986. 4. Lisak, R.P., Brown, M.J.: Acquired Demyelinating Neuropathies in Brown, M.J. and Goldblatt, D. (Eds.) Seminars in Neurology, Diseases of the Peripheral Nerves 7:40-48, 1987. 5. Lisak, R.P. Inflammatory and dysimmune neuropathies, in Current Opinion in Neurology and Neurosurgery; Neuromuscular Diseases, Morgan-Hughes, J.A. (Ed). Gower Academic Journals, 1:800-805, 1988. 6. Lisak, R.P. Cytokine-Schwann cell interactions, in Scarpini, E. Fiori, M.,Pleasure, D., Scarlato, G. (Eds) Peripheral Nerve Development and Regeneration, Recent Advances and Clinical Applications, Fidia Research Series, Vol. 19, Liviana Press, Padova, 1989, pp 93-101. 7. Scarpini, E, Lisak, R.P., Beretta, S, Velicogna, M, Daronzo, R, Maggio, M, Jann, S, Scarlato, G. Type II major histocompatibility antigens on normal and pathological human nerves in Scarpini, E. Fiori, M., Pleasure, D., Scarlato, G. (Eds) Peripheral Nerve Development and Regeneration, Recent Advances and Clinical Applications in Fidia Research Series, Vol 19, Livinia Press, Padova, 1989, pp 189-192. 8. Lisak, RP, Skundric, DS, Bealmear, B, Ragheb, S. The role of cytokines in Schwann cell damage, protection and repair. J Inf Dis 176 (Suppl 2): S173-S179, 1997. 9. Lisak, RP. Type I interferons and chronic inflammatory demyelinating polyneuropathy: Treatment or cause. Muscle & Nerve 23:307-309, 2000. 10. Latov, N, Chaudhry, V, Koski, CL, Lisak, RP, Apatoff, BR, Hahn, AF, Howard, JF. Use of Intravenous Gammaglobulins in Neuroimmunologic Disease. J Allerg Clin Immunol .108 (Suppl): S126-S132, 2001. 1. Gonzalez-Scarano, F., Lisak, R.P., Bilaniuk, L.T., Zimmerman, R.A., Atkins, P.C., Zweiman, B.: Cranial computed tomography in the diagnosis of systemic lupus erythematosus. Ann. Neurol. 5:158-165, 1979. 2. Lisak, R.P., Levinson, A.I. : Neuropathy in connective tissue disorders, in Neurology Vol. 4 Peripheral Nerve Disorders: A Practical Approach, Asbury, A.K. and Gilliat, R. (Eds.) Buttersworth, London 1984, pp. 154-183. 3. Lisak, R.P. : Neurologic manifestations of systemic disease: Collagen-vascular disease, in Diseases of the Nervous System Clinical Neurobiology Asbury, A.K., McKhann, G.M., McDonald, W.I. (Eds.). Ardmore Medical Books (W.B. Saunders, Co.), Philadephia, Vol. II, pp. 1499-1509, 1986. 4. Lisak, R.P., Moore, P.M., Levinson, A.I., Zweiman, B. Neurologic complications of collagen-vascular diseases. Ann. N.Y. Acad. Sci. 540:115-121, 1988. 5. Lisak, R.P. : Neurosarcoidosis, in Current Therapy in Neurologic Disease, Johnson, R.T. (Ed) 3rd Edition; B.C. Decker, Philadelphia, 1990, pp 154-155. 6. Lisak, R.P., Neurologic manifestations of systemic inflammatory autoimmune diseases, in Current Opinion in Neurology and Neurosurgery, Infections and Demyelinating Diseases; Compston, D.A.S. (Ed) Gower Academic Journals, London, 2:183-186, 1989. 7. Moore, P.M., Lisak, R.P. Multiple sclerosis and Sjogren's syndrome: A problem in diagnosis or in definition of two disorders of unknown etiology. Ann. Neurol. 27:585-586, 1990. 8. Lisak, RP, Mendell, JR. Peripheral neuropathies associated with connective tissue disorders, in, Mendell, JR, Kissel, JT, Cornblath, DR (Eds), Diagnosis and Management of Peripheral Nerve Disorders, Oxford University Press, New York, p. 233-255, 2001. 9. Moore, PM, Lisak, RP. Systemic lupus erythematosus-Immunopathogenesis of neurologic dysfunction. Seminars Immunopath. 17:43-60, 1995. 10. Shah, A, Lisak, RP. Neurologic complications of immunomodulating therapy, in, de Wolff, F.A. (ed), Vinken, PJ, Bruyn, GW, Klawans, HL (Series eds.) Handbook of Clinical Neurology: Intoxications of the Nervous System Part II, Elsevier, Amsterdam, Volume 21 (65):547-566, 1995. 11. Lisak, RP. Etiology, pathophysiology and classification of the connective tissue disorders, in: Handbook of Clinical Neurology,Vol 27(71) Systemic Illnesses, Part III, (M. Aminoff, CJ Goetz, vol eds: PJ Vinken, GW Bruyn, series eds) Elsevier, Amsterdam, pp.3-14, 1998. 12. Levinson, AI, Lisak, RP. Polyarteritis nodosa, eosinophilic granulomatosis with polyangiitis and overlap angiitis syndrome. In, International Neurology: A Clinical Approach 2nd edition; Lisak, RP, Troung, DD, Carroll, WM, Bhidaysiri, R (eds), Wiley-Blackwell, Oxford, 2016; pp 63-66. Dr. Lisak is a Professor of the Department of Neurology at the Wayne State University School of Medicine. He also serves as Parker Webber Chair in Neurology and Professor of Immunology & Microbiology at the Wayne State University School of Medicine. Dr. Lisak is board-certified in Neurology. Dr. Lisak’s research has been funded by the National MS Society, the N.I.H., Myasthenia Gravis Foundation, and the pharmaceutical industry. Dr. Lisak specializes in multiple sclerosis and related autoimmune diseases. He is also an expert in neuromuscular disorders such myasthenia gravis, inflammatory demyelinating neuropathies, and inflammatory myopathies. Dr. Lisak also specializes in neurologic <!--[if !vml]--><!--[endif]-->complications of collagen-vascular diseases (lupus) and vasculitis. Dr. Lisak also serves on several national and international scientific committees including the U.S. National Multiple Sclerosis Society. Dr. Lisak is an elected member of the American Neurological Association and a Fellow of the American Academy of Neurology. He was recently awarded the prestigious Fellowship of the Royal College of Physicians in the United Kingdom. 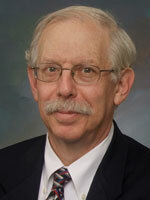 Dr. Lisak is the recipient of the “Lifetime Volunteer” award by the U.S. National MS Society. Dr. Lisak is also the Editor-in-Chief of the Journal Neurological Sciences, the official journal of the World Federation of Neurology. Dr. Lisak has been consistently named as one of the “Best Doctors in America” for the past several years.